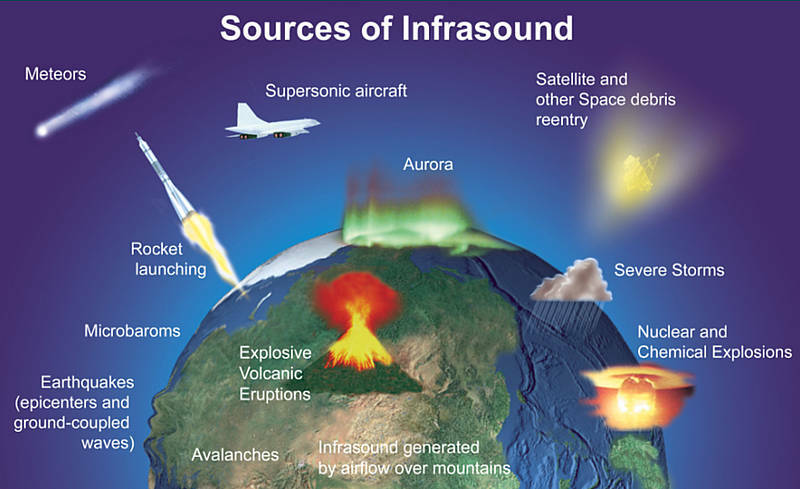 Infrasound: Lions, And Volcanoes, And Tsunamis Oh My! 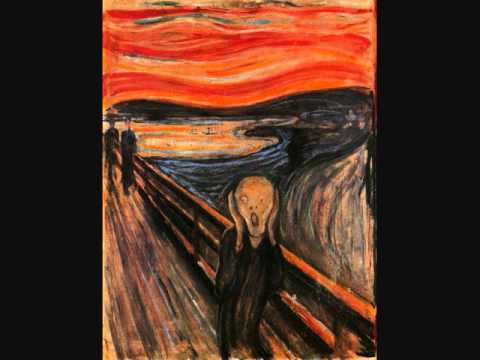 If you blast a person with infrasound (sound just below our hearing threshold) they will become fearful, anxious, uneasy, nervous, feel chills in their spine, pressure in the chest, and extreme sorrow. Sound waves in this range also resonate with our eyes natural vibrations creating undistinguishable and imaginary shapes in our peripheral vision. Most major scientific discoveries are complete accidents, and the story behind this discovery is no different. In a lab, experimenters kept experiencing a gray shape sitting next to their desk in a specific area of the room. They also consistently felt feelings of dread, depression, anxiety, and feelings of someone watching them in that area. They eventually discovered that a “silent” exhaust fan was emitting sound waves of 18.9Hz (infrasound). The fan was fixed and the mysterious gray shape and strange emotional experiences ended. Stunned by the implications, this clever scientist went to a well regarded haunted cellar in a local home. People who entered the cellar often reported feelings of fear, nausea, nervousness, chills, seeing apparitions, and feeling apparitions watching them. It was found that the cellar had a particular resonant structure that created infrasound waves at, you guessed it, 18.9Hz. 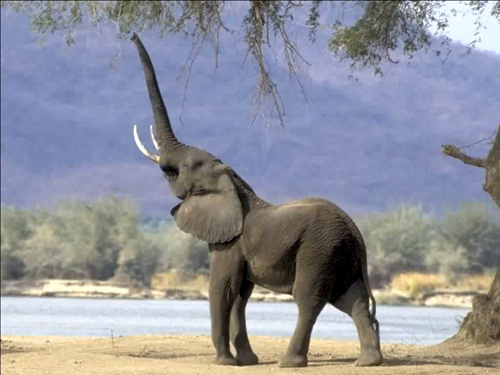 Why do humans feel these sensations when these “silent” sound waves hit our ears? Lions, earthquakes, volcanic eruptions, large ocean waves, elephants, and other dangerous things produce sounds in the infrasound range. It is the hypothesized reason that many animals know ahead of time about tsunamis and earthquakes. In fact, if humans weren’t so caught up in our own thoughts (detached from our bodily intuition), we’d probably be able to sense these events too. The sensations created are an evolutionary adaptation that intuitively says “Don’t be here! Get somewhere else NOW!”. If you know others who may enjoy any of these please share the official Facebook page. The more people that have access to these interesting facts the more we can get science back into the forefront instead of the background. If you believe in this cause please help spread the word. Thank you! I promise to keep the material PG, and strive to avoid inflammatory statements that offend others. If anyone has any advice or requests please comment.